Recommended: Farewell for now, royal wedding fans! A roundup of all the latest details, discussion and debate about the nuptials of Will and Kate. 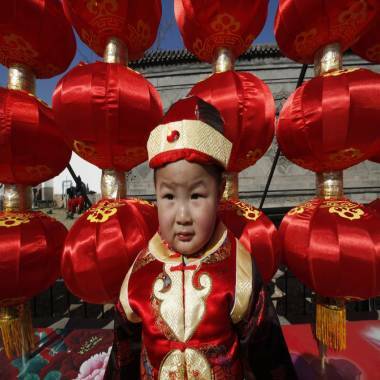 A child dressed in a traditional Chinese costume stands in front of lanterns at a temple fair to celebrate the Lunar New Year in Beijing Thursday. BEIJING – As the Year of the Rabbit hops in, there could be new forces at work for Britain’s royal wedding. For China’s top fortune teller, Chen Shuaifu, April 29 isn’t exactly an auspicious day for the gathering of the rabbit, the rooster and the dog. But if the “right steps” are taken, the royal wedding day could still be a good beginning for Kate Middleton and Prince William. “Prince William should avoid wearing red, while Kate must wear white, gold and black,” said Chen. 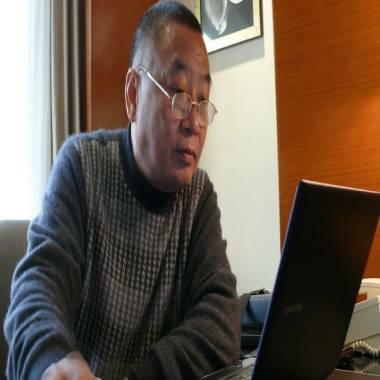 While it’s tempting to dismiss the words of Chen, a soft-spoken former defense reporter and editor, he is the chairman of the China National Feng-shui Association, which has some 38,000 members across China. Feng-shui, which stands for wind and water, is the ancient art that studies the forces and elements of nature to divine the future, attract good fortune and deter bad luck. It has survived in China for more than 1,000 years and has seen a revival in recent years. “I am a descendant of Chen Tuan, the greatest feng-shui master of the Song Dynasty,” Chen said during a recent interview with NBC News, referring to a philosopher who lived in the 10th century. While both Kate and William were born in 1982 in the Western calendar, the Chinese lunar calendar says Kate was born in the Year of the Rooster, while Prince William was born in the Year of the Dog. Their zodiacs are “quite compatible,” according to Chen. “But they will be married in the Year of the Rabbit, which is good for people born in the Year of the Dog, but bad for people in the Year of the Rooster,” he warned. “Kate was born on a freezing winter day, so she must be an extreme and stubborn lady,” said Chen. Chen Shuaifu at work in Beijing. “To reconcile their horoscopes, Prince Williams must not wear red clothes and should often go swimming, while Kate must wear white, gold and black,” he firmly suggested. “And golden utensils must be used, because gold can contain the water (necessary for good feng-shui). Water was born from gold, and black also belongs to water,” he added. Chinese feng-shui believes that human fate can be altered through proper actions. “If I predict that someone driving north will encounter a disaster, I will tell him to head south instead,” Chen explained. One case in point is the royal engagement ring that belonged to Princess Diana. “She led a miserable life, the unlucky energy in the ring will be too much, and the living should not wear the ring worn by the dead,” he said. Chen admitted that he could only provide limited guidance and that a deeper understanding of the forces that could affect the royal wedding and the married life of Prince William and Kate would require “a quiet environment” and “three or four hours” of work in their presence. He pointed out that more and more people are seeking out the counsel of feng-shui masters, including government and corporate officials. He ticked off a few examples of his own. He also suggested that feng-shui is at work all the time, in ways many might miss. “In Beijing, there is the Bird’s Nest in the Olympic park, the Bird’s Egg for the National Grand Theater, the Bird’s Beak of the Millennium Altar, the Bird’s Legs of the new CCTV Tower, and the Bird’s Wings of the Beijing Capital Airport,” he said, suggesting a grand feng-shui design of a bird to attract good fortune. The bird can fly and is an apt symbol for rising Beijing, rising China, he explained. "Who designed it all? I can't tell you, it's state secret," he said. Zhu Tong contributed to this report. For all the latest on the royal wedding, click on the Windsor Knot, msnbc.com's blog dedicated to the countdown to the big day. While I do not want to dismiss the beliefs of another - I don't forsee William & Kate soaking his mother's ring in salt any time soon. 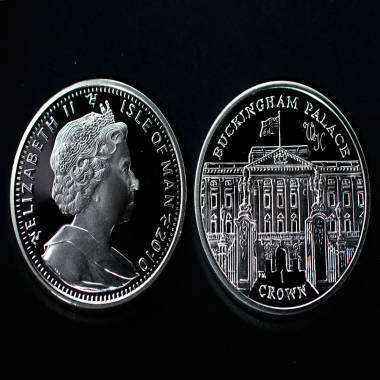 Two of the first legal tender coins struck to commemorate the engagement of Britain's Prince William to Kate Middleton. Hoping to get your hands on a royal wedding T-shirt or tea towel with Prince William’s official coat of arms? You may be disappointed. “With the exception of carpets, cushions, wall hangings and head scarves, Royal Devices MAY NOT be used on textiles (which includes articles of clothing, including T-shirts, drying up cloths and aprons,” read the guidelines, posted on the British Monarchy website. Within hours of the engagement announcement, memorabilia sporting the young couple’s image popped up around Britain and on the Web. Britain’s Asda supermarket chain was said to be the first to sell engagement mugs, and royal wedding china from the historic British china manufacturers Aynsley and Royal Crown Derby is now for sale. Even the Royal Mint is already taking orders for the official engagement coins, although the final design is still awaiting approval. Meanwhile, the official engagement portrait has yet to be unveiled. eBay has dozens of listings for royal wedding and engagement souvenirs, including postcards, Christmas ornaments, thimbles, and salt and pepper shakers. But those hoping to make a quick buck may be disappointed: It can take years for royal souvenirs to appreciate in value, as evidenced by the eBay listings, where most items are currently selling for under $10. "The problem with post-Victorian royal memorabilia is that was generally mass-produced, and people tend to hang on to it, so there's still a lot of it around,” antiques expert Judith Miller told the Guardian newspaper.